Celebrate Independence Day with a patriotic poster from PosterNation.com. 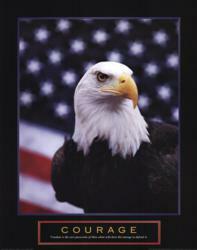 PosterNation.com added a variety of patriotic posters to its inventory for the upcoming July 4th holiday. In addition to American flag posters, the new collection includes symbolic and motivational posters that celebrate the United States. To create a beautiful display of the art print in a home or office, PosterNation.com also frames all of the artwork available on the website. The prints are framed in the USA with high-quality materials. There are more than 1 million different framing options, so PosterNation.com shoppers can customize their patriotic art prints.